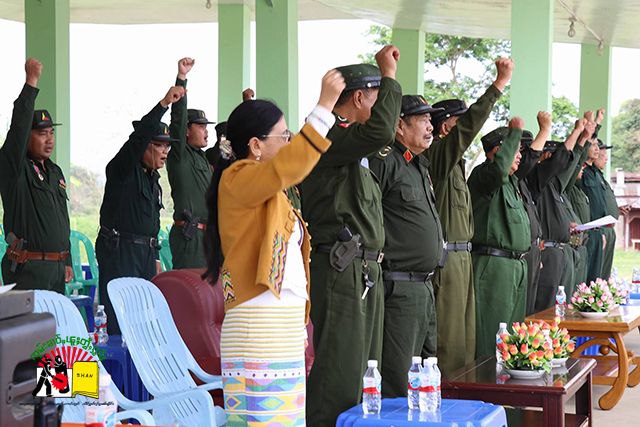 The annual celebrations for Shan Resistance Day were held on May 21 at the two largest Shan armed organizations’ HQs—Loi Tai Leng, base of the Restoration Council of Shan State (RCSS) on the Shan-Thai border; and at Wanhai in central Shan State, the nerve center of the Shan State Progress Party (SSPP). 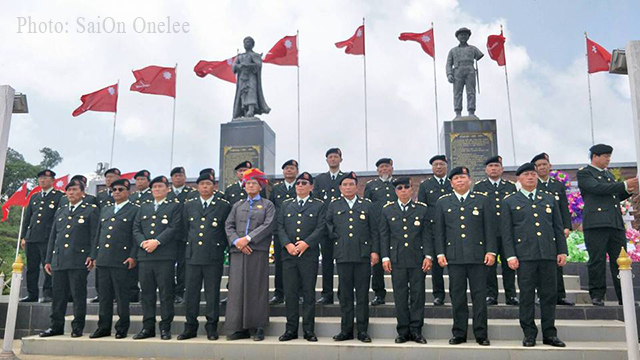 Organizers estimate that around a thousand people attended the 59th anniversary event at Wanhai in southern Shan State, where SSPP soldiers conducted a military parade. He continued: “However, for those of us who claim to be ‘freedom fighters,’ there is no retirement. The length of our resistance may be advancing, so we must adapt as though we were continually youthful and strong. 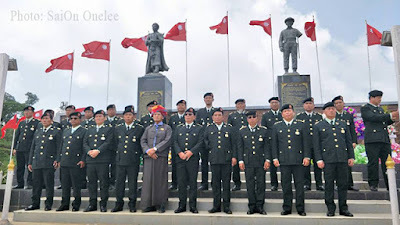 At Loi Tai Leng, central command post of the RCSS/SSA, the military parade and festivities were reportedly attended by some 3,000 people. RCSS leader Gen. Yawd Serk addressed the audience, emphasizing the need to maintain a sustainable and stable peace in accordance with the Nationwide Ceasefire Agreement (NCA). “Being an NCA signatory, we have been maintaining peace as mandated in the accord. And also, as we are a legal organization, if you face arrest for associating with the RCSS, please report the matter to our nearest liaison office. We will continue to fulfill our commitment and uphold the promise of our political objectives,” said Yawd Serk. Pa Nang Lu – wife of Sao Noi Soyanta, the man considered the father of modern Shan resistance – also took to the stage. She spoke about how her husband led Shan youths against the ruthless Burmese army, and how he founded the Shan armed forces, known as num serk han – the “young warriors” who evolved into today’s Shan State Army. The RCSS ceremony concluded with a wreath-laying ceremony to commemorate the martyrs who sacrificed their lives defending the Shan cause.